Whether you are a long-time owner of a property, a new owner or someone undergoing a remodel, there are many great reasons by businesses should consider a blower door test. They can help you check the efficiency of your current system and to detect energy-losing leaks in your home or business’s structure. Whether you want to lower bills or upgrade to a greener system, a blower door test is a great first step in understanding the current state of air flow in your building. Blower door tests are performed by inserting a fan on the front door of a building that fits with an airtight seal. All external doors and windows are closed, and all interior doors are opened. Additionally, exhaust fans in kitchens and bathrooms must be off, and fireplace dampers closed. The fan is then used to pull the air out of the building (or occasionally into the building). The more enclosed the building, the less air will be needed to cause a pressure drop in the building. This information can be used to give an overall area of leakage, or combined with other methods like infrared testing to determine the amount of leakage on a specific wall, window, or HVAC vent. Energy Efficiency Certification: Many different green building codes, such as LEED, IECC and ASHRAE require that a building is below a certain leakage percentage. 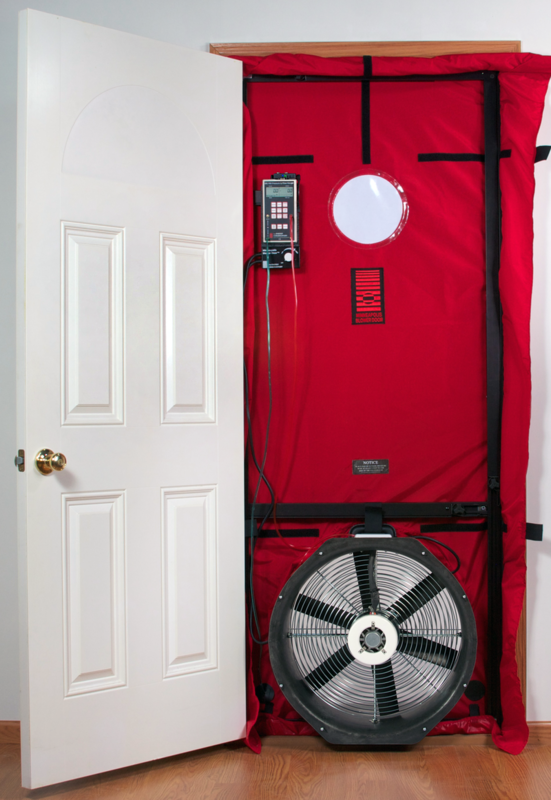 Blower door tests are required to test that metric and gain the benefits of certification. Post Window-Install leakage testing: To check and ensure that new windows offer the leakage protection that they advertise. Mid-Construction or Remodel Testing: Testing a building when the external structure is completed but the interior still requires work can show major areas of leakage at a time when it is still very cost-effective to fix them. Checking Air Flow to Reduce Energy Costs: Identifying the source of leakages can help to lower heating and cooling energy costs. Heating/Cooling Ducts: Supply and return ducts can both be tested for how well they hold air and deliver it to where it is designed to go. For more information on blower door tests or energy efficient solutions, contact USI online to find a branch near you and get a free quote. USI believes in excellence in every step of the process and ensures timely completion and quality of service, time after time. ← What Is Cultural Sustainability?